Learn surfing in Cornwall with an Explorer Surf Lesson! 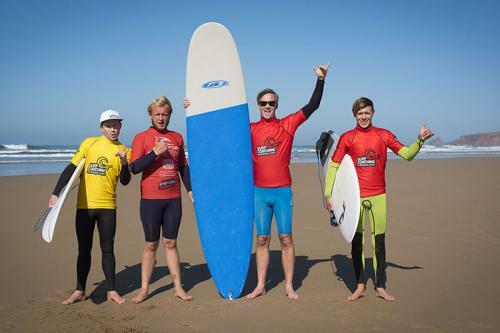 Choose Explorer Surfing Lessons if you’re really keen to learn and progress your surfing skills and riding – fast! At the Rip Curl English Surf School in Newquay, Cornwall, our surfing lessons cover techniques from paddling out and board control to balance techniques, wave selection, weight distribution and practicing fundamental manoeuvres. Our most popular surf lesson, the explorer package is more than trying to surf, but actually learning to surf. We offer unrivalled small group tuition (a 1:5 instructor to surfer ratio) a surfing progression log in accordance to the iambands level scheme, and a set of photos of your amazing session to take away. 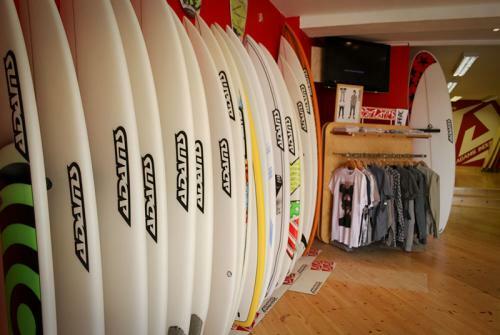 So kick start your surfing today in a fun, relaxed yet professional environment. We have a dedicated and animated team of International Surfing Association qualified instructors waiting in the wings, eager to help you learn to surf. We will kit you out in top of the range surfing equipment; a warm and comfortable Rip Curl wetsuit, lycra ID vest and a Swell surfboard. Manufactured in Cornwall, these foam surfboards are regarded as the best beginner/progressor boards on the market. Their greater surface area and unique rails provide unrivalled stability and control on the wave. And if you wipeout, you needn’t worry about injury as the boards are made from face friendly foam. It’s not only the equipment that is first rate, but you can change in our heated changing rooms, safely stow belongings in our secure lockers and relax in our hot shower after a good surf. 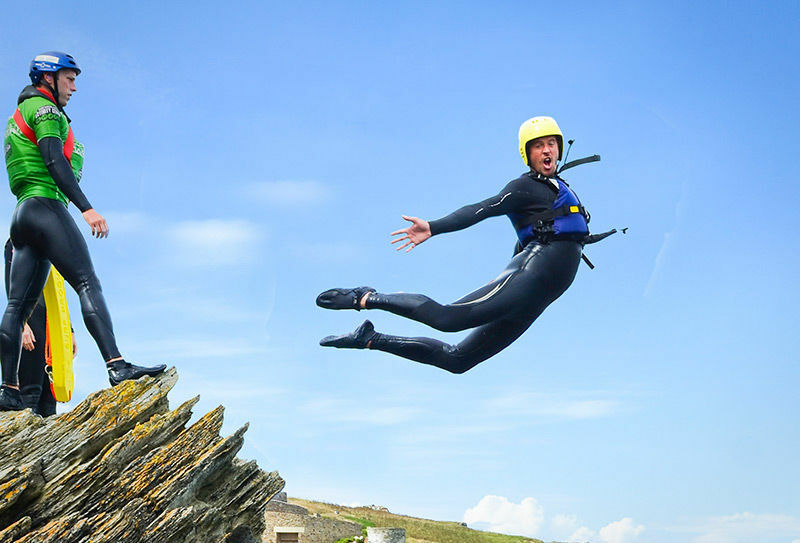 We’ve thought of everything, surfing lessons in Cornwall really don’t get any better or easier than this! The Rip Curl English Surf School couldn’t be better located either. We’re on Newquay’s Towan headland, a 2 minute and 10 minute stroll from the UK’s best surfing beaches, Fistral beach and Towan beach respectively. 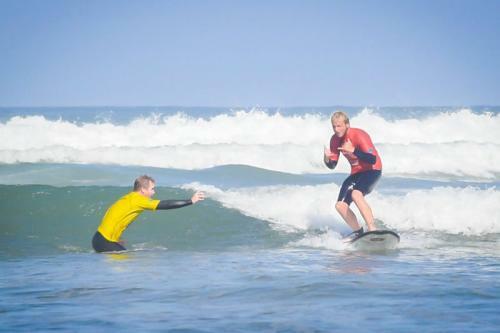 We can guarantee you’ll be getting the best and most suitable surfing in Cornwall on any given day. So, you’re new to surfing but wish to give it your best shot, and really learn how to do this awesome, life-changing sport? If this sounds familiar, then the Explorer Surfing Lesson is exactly what you’re looking for! 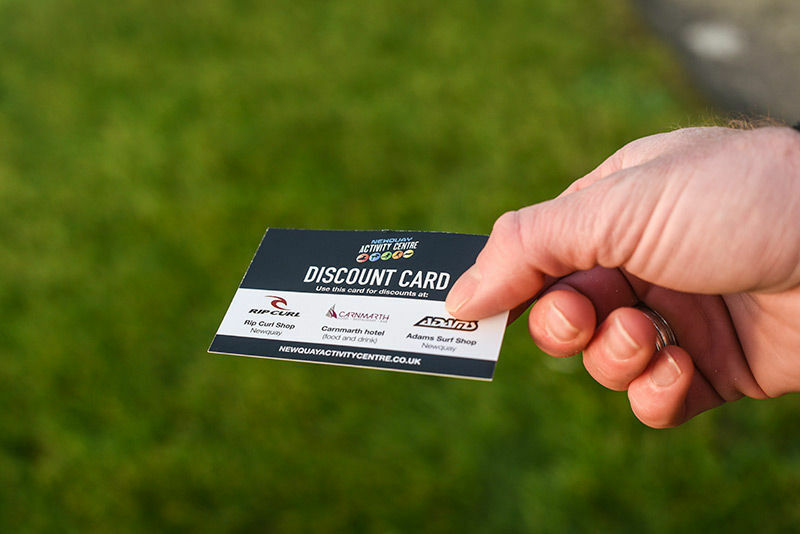 At just £7 more than our Taster lesson you’ll benefit from faster paced progression due to the smaller group dynamic and surf logbook that helps monitor your performance. You’ll also receive your own selection of surfing photos to take home, and a post surf debrief with realistic objectives for your next surf session. 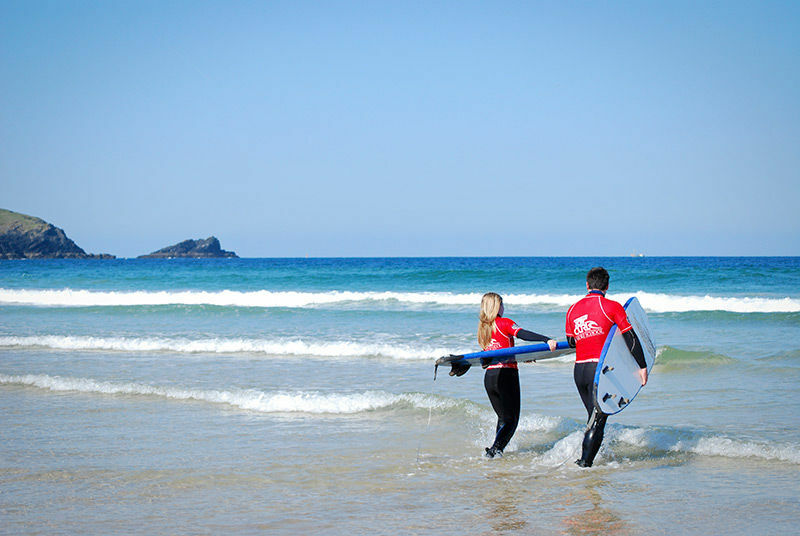 With our Explorer Surf Lesson you’ll see your surfing improve in double quick time, and in a laid back yet professional setting. Book up today, and get your surfing off the ground. 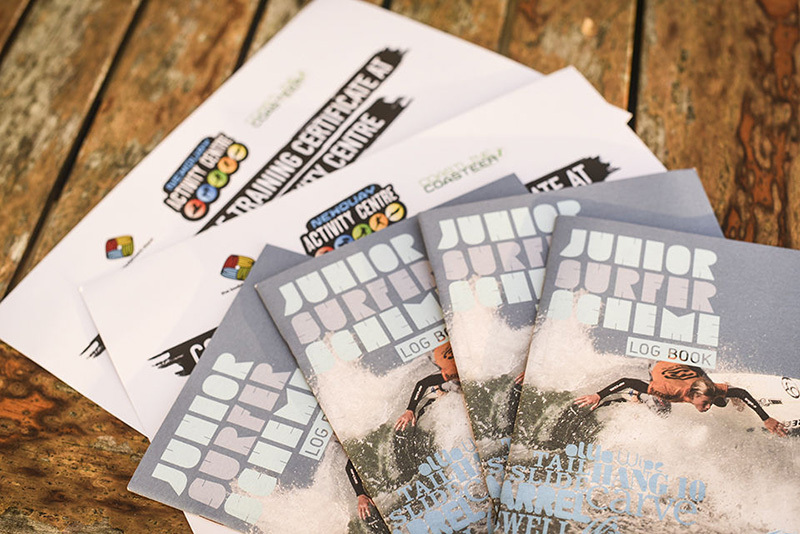 Call to check availability and book your Explorer Surf Lessons today.